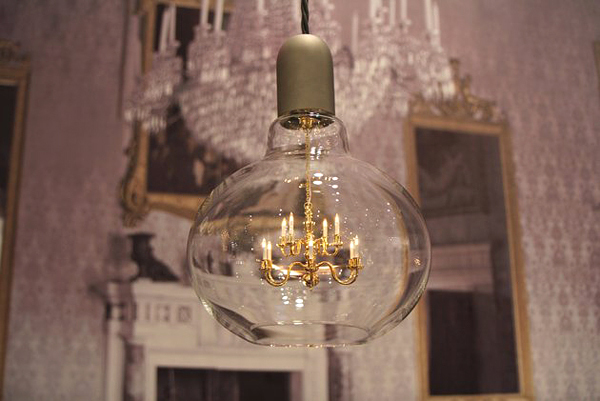 Designed by Young & Battaglia, the King Edison pendant lamp combines whimsy with functionality. 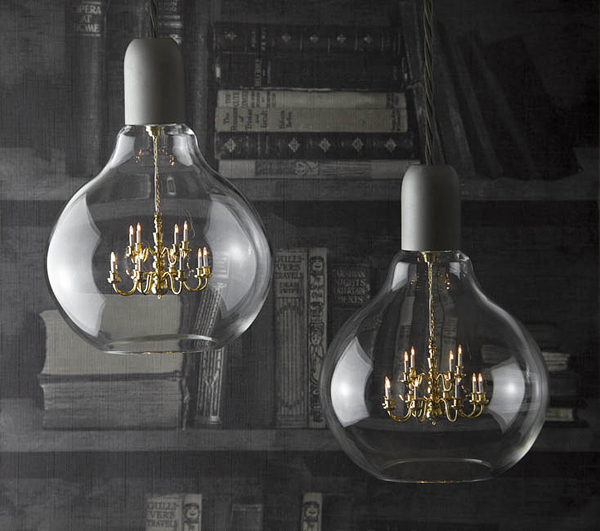 A tiny functioning chandelier is suspended inside a hand blown clear glass bulb with satin chrome fittings and hung on a braided silken cable. 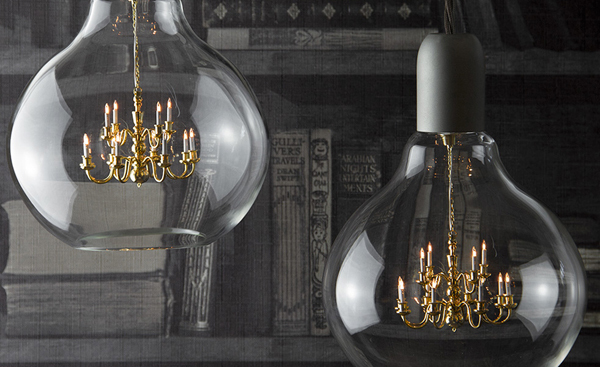 The name, King Edison, is tongue-in-cheek nod to the regal design of the chandelier and the lightbulb’s original inventor. 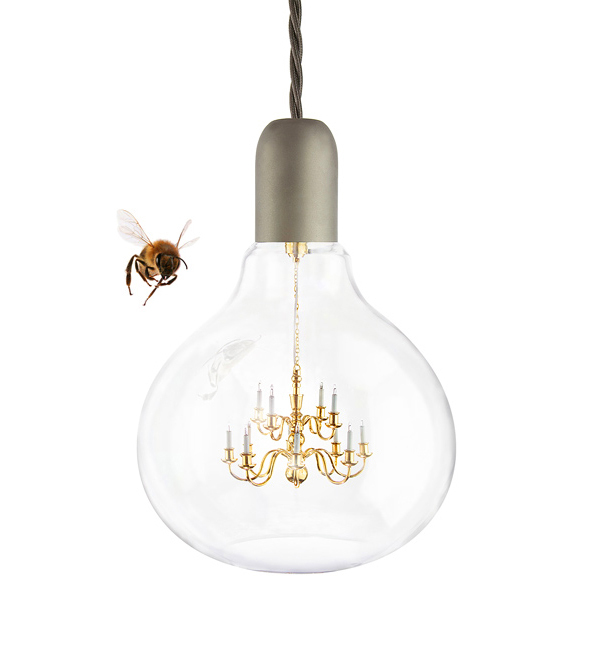 The piece is made in England by Mineheart, the design consultant company and online store launched by Brendan Young and Vanessa Battaglia in 2010.